Valli became a widow at the age of 34 years the 1st of September 2014. Her husband was a mason-assistant and went back and forth at night from one building site to the other. He was asleep because of exhaustion and fell out of the train. 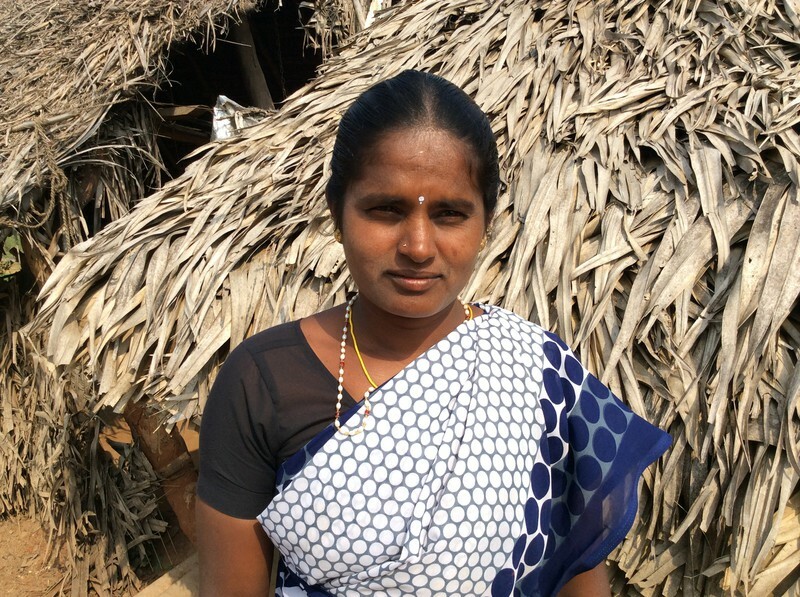 In order to nourish her three children Valli took a job on a building site. (It is the women´s job to transport sand, stones and cement on their heads – there are no cranes.) We got Vallis cry for help when she lost her job because she rejected the love service, that is normally included in the women´s work. In her little mud-hut, 3 miles away from town in the plain fields, Valli and her 14-year-old daughter were not safe. They say, that “a woman without husband is like a house without fence and door – everybody is allowed to enter”…..
Om Shanthi NGO shelters and supports elderly single widows, who have no family or were rejected in our Old Age Home. And we help young widows by offering them a safe place to work, a steady income, free medical treatment and education for their children. Valli works now in the Kindergarten of Shanthimalai and is very happy. With your donation we could finish a small house near her working place, where she lives safely with her children. In order to meet the tremendous need in the area a councelling center was established in the summer of 2015. The center offers widows and other destitute women help with education and job placement. Already these women are on their way to rebuilding their lives as contributing members of their communities. Thank you for your kind donations in the past and hopefully also in future.